•	The homepage of the SnagShout.com website is where customers will find merchandise that has been discounted by anywhere between 10% and 15% off or more. These deals are going to be refreshed on a weekly basis. •	Special sales events, savings opportunities, and coupon codes are going to be sent out via email to those that sign up for the free email newsletter subscription provided by SnagShout.com. 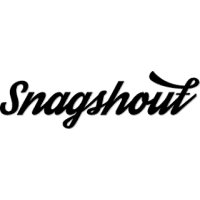 Customers will have the chance to sign up for this free service immediately upon visiting the SnagShout.com homepage, and those that do will find all kinds of special member only offers in their inbox on a regular basis. •	Visit the SALES section of the SnagShout.com website to find prices that have been reduced by anywhere between 25% and 70% or more. Snagshout offers money saving deals and cost-effective shopping promotions for customers everywhere. This company features promotions in wide a range of categories, including clothing and jewelry, electronics, sports and outdoors, beauty and health, and home and garden. There is also a category for merchandise under $5 to maximize the money saving potential of its customers. These deals are specifically tailored to discounted Amazon products. So, customers can find products they need in a single location. Instead of sorting through the Amazon website, they can streamline their discount shopping needs using this simple service. Discounted products and deals are uploaded on a daily basis. For most up to date offers check out Snagshout on Facebook and Twitter or contact Snagshout Support for any questions.